“So, you see? The ice has worked its magic, the aromas are absolutely distinct, you can taste the sweetness but also the citrus, and it’s well balanced. 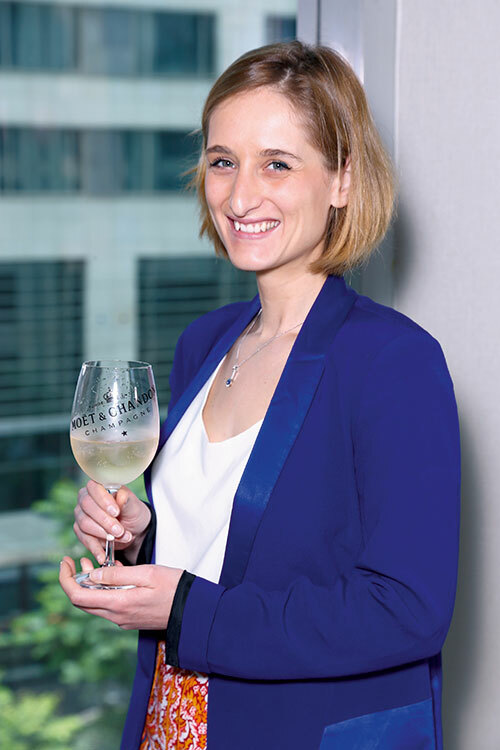 The refreshing part comes not only from the temperature but also from the texture….” I listen raptly as Elise Losfelt, winemaker at Moët & Chandon, takes me through the intricacies of the champagne house’s path-breaking new creation, Moët Ice Impérial. She explains that the inspiration behind the new champagne comes from the fact that there are a lot of people, in temperate climates, who break all the rules by adding ice to their glass of champagne which, she expresses, “is horrible. It completely ruins it, and you can’t call it champagne anymore”. But, since it was something they couldn’t change, because “summer is summer and good outdoor parties will want chilled champagne at all costs”, the winemakers at Moët & Chandon decided to come up with a solution. Moët Ice Impérial is the world’s first ever champagne specifically created to be enjoyed on ice; something that only a brand with this much winemaking savoir faire — 272 years, to be precise — could invent. Losfelt, herself, represents the sixth generation of a family of gifted female winemakers, having been exposed to the industry at a very young age at her family vineyard in Grès de Montpellier. She pours the liquid gold into a large Cabernet Sauvignon glass, breaking tradition even further, and garnishes the drink with a couple of mint leaves before entertaining the million questions at the tip of my tongue. Am I right in assuming that, without ice, this champagne would be pretty intense? How is it made? Oh, absolutely; you definitely do not want to try it without ice cubes! The idea is that when we do the blend, just after the harvest, we create a blend of champagne that will be too much — too aromatic, too bitter, too sweet and too acidic all at the same time, so it will reach its balance once you add a few ice cubes. It’s been in the making for 10 years, since we’ve had to try and test the process a number of times to perfect it. We base the blend on Pinot Noir, which is very mature, exotic and exuberant. It’s blended with a third of Pinot Meunier, which adds aromas as well as juiciness, because we still need to have a nice middle palate. Then, there is a small part of Chardonnay, about 10 to 15 per cent, mainly for the acidity, to balance out the texture and the sweetness. When someone finally pours it out and adds ice cubes (preferably three large ones), they do the last part of the process. You come from such a strong line of women winemakers. What pearls of wisdom have they passed on to you? (Laughs) Sorry, I’m thinking about the characters of my mother and my grandmother. We say that people from the South of France are really loud, and I think our brains are just wired weirdly. My grandmother was a winemaker at a time when there were no women winemakers in the world. She was really strong and bold, dealing with men all day long and showing them that she could handle it. My mother was also somewhere in the middle of that but, for me, it’s quite easy now and I don’t feel much pressure. Of course, I have something to prove because I’m a young winemaker, but definitely not because I’m a woman. For me, it’s been a passive learning process since my mother loves to talk a lot about her job. I don’t remember any dinner, since I can remember things, during which we didn’t talk about what we were drinking or the food paired with it. She’s a really good cook. She always wanted us to taste and tell her what the ingredients of the dish were. We didn’t know, but she trained us…trained our senses. So when I was studying to be a winemaker later, I recognised that I had an upper hand. It’s still a game for me to test my palate, and I will do the same with my children because it’s amazing to be able to rely on your senses. What grape farming techniques do you employ today? Sustainable. At Moët and Chandon, it’s always sustainable. We’ve just acquired a new High Value for Environment certificate. 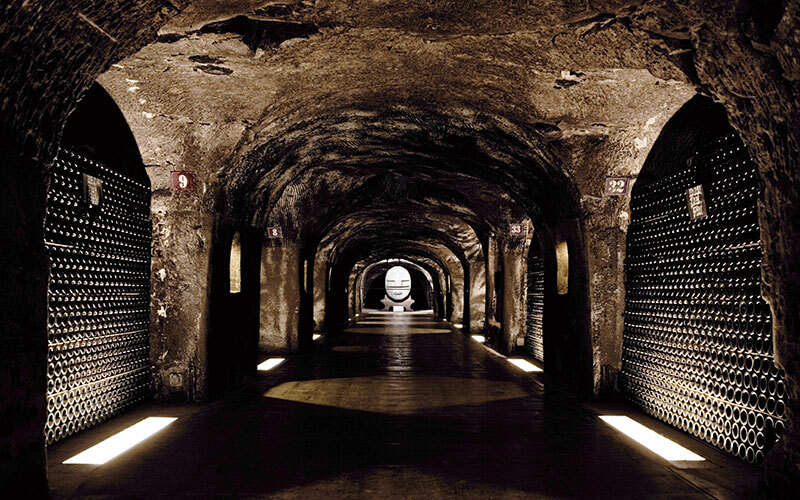 We think it’s really the way our champagne vision should go, to reduce the carbon footprint on Earth. So are you noticing any changes or challenges with regards to climate change? Yes! What happens today is that we have ascending harvests. The Champagne region lies to the north, where all the production of wine in France happens, and the weather is getting warmer, which is better for us. If we look at the figures that we have from the past, the average date of the harvest used to be October 15. In the last 30 years, it’s moved up to September 15. So, yes, it’s getting mature quicker. In the last 20 years, we did a vintage every two years. What do you think is the most important attribute to have to be a successful winemaker? Patience…which, sometimes, I have and, sometimes, not really. The great thing is that at Moët and Chandon, we’re a team. There are some brilliant old winemakers that have been there for 35 years. I get along really well with them and I love to learn from them. So, I think patience and a hunger to learn every day are the most important traits to have. And what’s your favourite part of the job? Oh, the harvest! I love working during that time. I mean, you’re dead tired at the end and you can’t even walk; you’re just finished. You think of wine all the time, and it’s just so intense. It’s the moment when science meets creation — it’s crazy. Everybody is working hard, hand in hand. Nothing beats harvest time.